After the success of National Comics’ new superhero characters Superman and Batman, Fawcett Publications started its own comics division in 1939, recruited writer Bill Parker to create several hero characters for the first title in their line, tentatively titled Flash Comics. Besides penning stories featuring Ibis the Invincible, Spy Smasher, Golden Arrow, Lance O’Casey, Scoop Smith, and Dan Dare for the new book, Parker also wrote a story about a team of six superheroes, each possessing a special power granted to them by a mythological figure. The first issue of the comic book, printed as both Flash Comics #1 and Thrill Comics #1, had a low-print run in the fall of 1939 as an ashcan copy created for advertising and trademark purposes. Shortly after its printing, however, Fawcett found it could not trademark “Captain Thunder,” “Flash Comics,” or “Thrill Comics,” because all three names were already in use. Consequently, the book was renamed Whiz Comics, and Fawcett artist Pete Costanza suggested changing Captain Thunder’s name to “Captain Marvelous,” which the editors shortened to “Captain Marvel”. 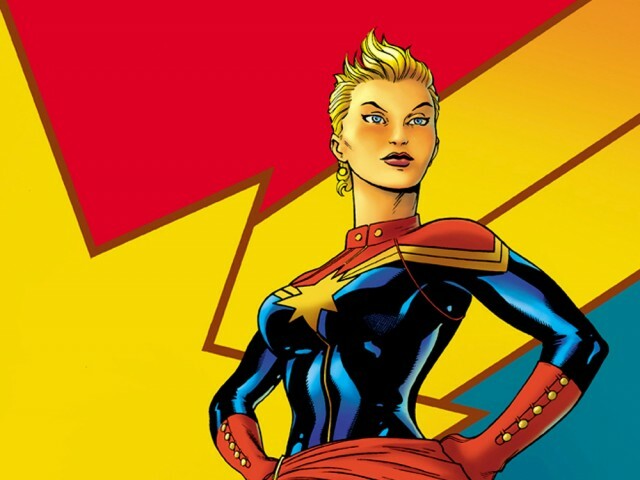 The word balloons in the story were re-lettered to label the hero of the main story as “Captain Marvel”. Whiz Comics #2 (cover-dated Feb. 1940) was published in late 1939. As a result, Captain Marvel was given a 12-year-old boy named Billy Batson as his alter ego. In the story of his origin printed in Whiz Comics #2, Billy, a homeless newsboy, is led by a mysterious stranger to a secret subway tunnel. An odd subway car with no visible driver takes them to an underground tunnel with seven statues depicting the Seven Deadly Enemies of Man (Pride, Envy, Greed, Hatred, Selfishness, Laziness, and Injustice): the lair of the wizard Shazam. (See! The Wizard is Shazam!) 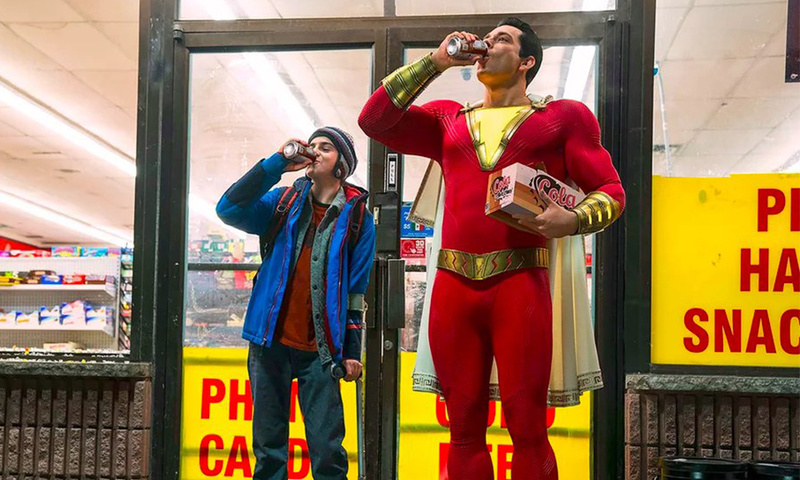 The wizard shows that he has observed the hardship of Billy’s life, and grants him the power to become the adult superhero Captain Marvel, just before a stone suspended above Shazam’s head crushes him. His ghost says he will give advice when a brazier is lighted. 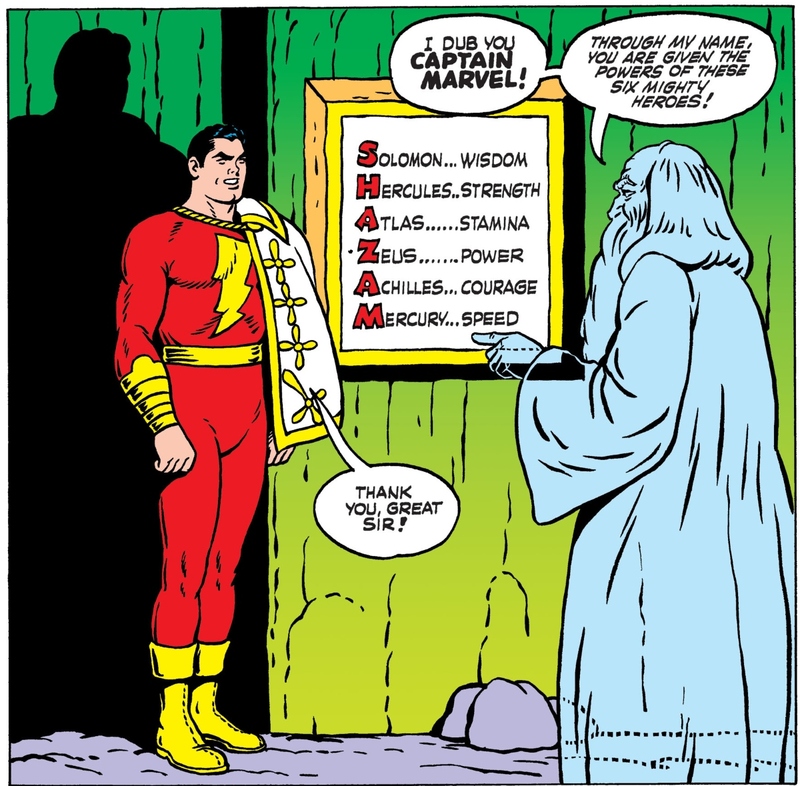 In order to transform into Captain Marvel, Billy must speak the wizard’s name, an acronym for the six legendary figures who agreed to grant aspects of themselves to a willing subject: the wisdom of Solomon, the strength of Hercules, the stamina of Atlas, the power of Zeus, the courage of Achilles, and the speed of Mercury. Speaking the word produces a bolt of magic lightning which transforms Billy into Captain Marvel. Speaking the word again reverses the transformation with another bolt of lightning. Captain Marvel wore a bright red costume with gold trim and a yellow lightning bolt insignia on the chest. The body suit originally included a partial bib front but was changed to a one-piece skintight suit within a year (the partial bib would be restored to Captain Marvel’s costume much later in the character’s history, in 1994). The costume also included a white-collared cape trimmed with gold flower symbols, usually asymmetrically thrown over the left shoulder and held around his neck by a gold cord. The cape was inspired by the ceremonial cape worn by the British nobility, photographs of which appeared in newspapers in the 1930s. Through much of the Golden Age of Comic Books, Captain Marvel proved to be the most popular superhero character of the medium with his comics outselling all others, including those featuring Superman. In fact, Captain Marvel Adventures sold fourteen million copies in 1944 and was at one point being published bi-weekly with a circulation of 1.3 million copies an issue (proclaimed on the cover of issue #19 as being the “Largest Circulation of Any Comic Magazine”). Part of the reason for this popularity included the inherent wish-fulfillment appeal of the character to children, as well as the humorous and surreal quality of the stories. Billy Batson typically narrated each Captain Marvel story, speaking directly to his reading audience from his WHIZ radio microphone, relating each story from the perspective of a young boy. Detective Comics (later known as National Comics Publications, National Periodical Publications, and today is known as DC Comics) sued both Fawcett Comics and Republic Pictures for copyright infringement in 1941, alleging that Captain Marvel was based on their character Superman. After seven years of litigation, the National Comics Publications v. Fawcett Publications case went to trials court in 1948. Although the judge presiding over the case decided that Captain Marvel was an infringement, DC was found to be negligent in copyrighting several of their Superman daily newspaper strips, and it was decided that National had abandoned the Superman copyright. As a result, the initial verdict, delivered in 1951, was decided in Fawcett’s favor. National appealed this decision, and Judge Learned Hand declared in 1952 that National’s Superman copyright was in fact valid. Judge Hand did not find that the character of Captain Marvel itself was an infringement, but rather that specific stories or super feats could be infringements, and that the truth of this would have to be determined in a re-trial of the case. The judge, therefore, sent the matter back to the lower court for final determination. Instead of retrying the case, however, Fawcett decided to settle with National out of court. The National lawsuit was not the only problem Fawcett faced in regard to Captain Marvel. While Captain Marvel Adventures had been the top-selling comic series during World War II, it suffered declining sales every year after 1945 and by 1949 it was selling only half its wartime rate. Fawcett tried to revive the popularity of its assorted Captain Marvel series in the early 1950s by introducing elements of the horror comics trend that gained popularity at the time. Feeling that this decline in the popularity of superhero comics meant that it was no longer worth continuing the fight, Fawcett agreed to permanently cease publication of comics with the Captain Marvel-related characters and to pay National $400,000 in damages. Fawcett shut down its comics division in the autumn of 1953 and laid off its comic-creating staff. 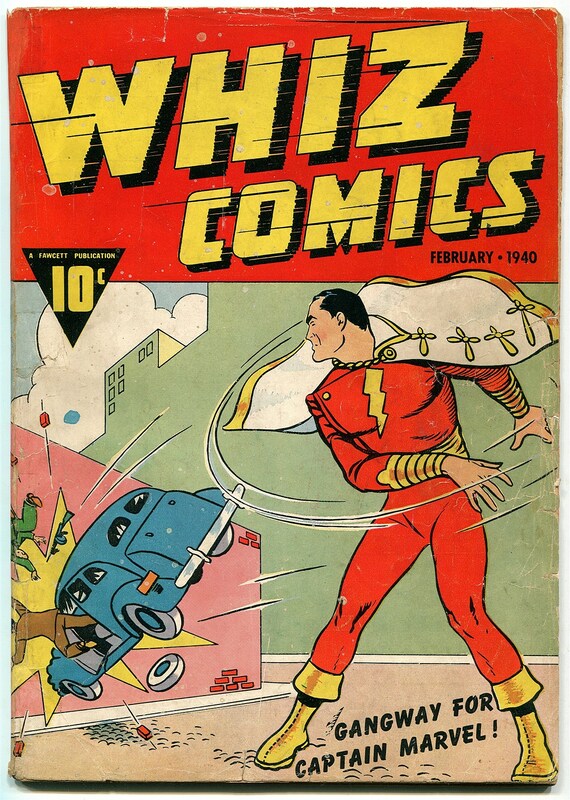 Whiz Comics had ended with issue #155 in June 1953, Captain Marvel Adventures was canceled with #150 (November 1953), and The Marvel Family ended its run with #89 (January 1954). NOW FOR THE IRONY…When superhero comics became popular again in the mid-1960s in what is now called the “Silver Age of Comic Books,” Fawcett was unable to revive Captain Marvel, having agreed never to publish the character again (as part of the settlement of the lawsuit). Carmine Infantino, the publisher of DC Comics, licensed the characters from Fawcett in 1972, and DC began planning a revival. Because Marvel Comics had by this time established Captain Marvel as a comic book trademark for their own character, DC was forced to publish their book under the name Shazam!. Infantino attempted to give the Shazam! 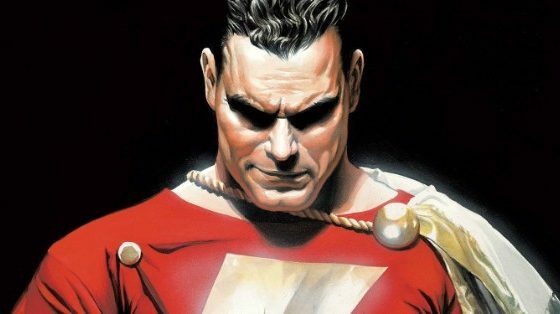 book the subtitle The Original Captain Marvel, but a cease and desist letter from Marvel Comics forced them to change the subtitle to The World’s Mightiest Mortal with Shazam! #15 (December 1974). As all subsequent toys and other merchandise featuring the character was also required to use the “Shazam!” label with little to no mention of the name “Captain Marvel”, the title has become so linked to Captain Marvel that many people took to identifying the character as “Shazam” instead of “Captain Marvel”. So now, the company that forced Captain Marvel to lose his trademark name owns him and can’t use the name themselves! 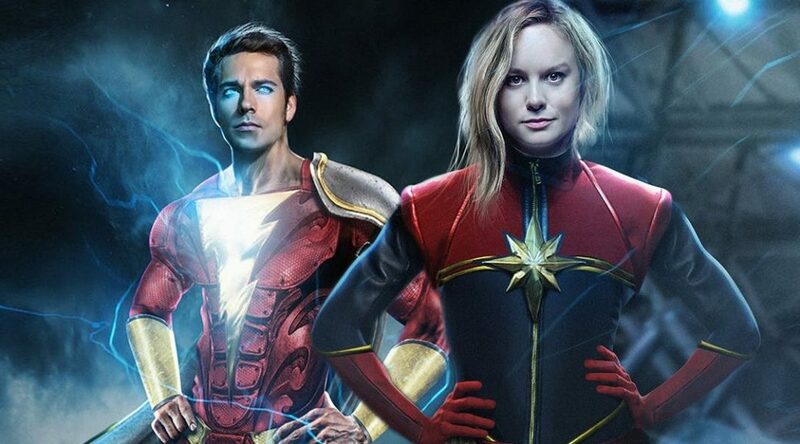 Here’s where you go, “It’s just a damn shame!”, because Captain Marvel is so much cooler than Shazam! Now I wish they would just go back to his original name of Captain Thunder. Anyway, enough of my tirade…back to the blog. 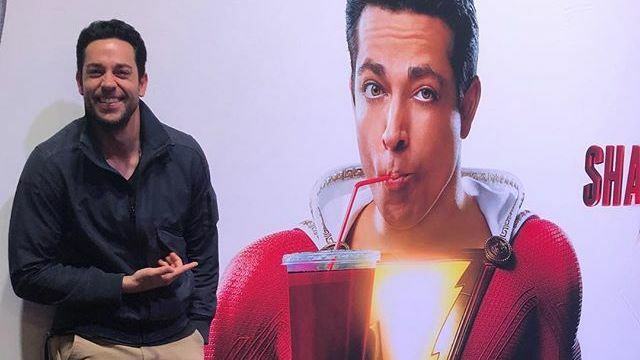 Regardless, I’m very excited about both the upcoming films for Shazam! and the new Captain Marvel!